The Maltese-Yorkie mix goes by a few cheerfully arranged monikers: the yorktese, malkie and morkie. A cross of two small breeds -- the Yorkshire terrier and the Maltese -- a morkie can be distinguished from other small lap-dogs by her long floppy ears and her multicolored silky coat. Morkies are an intelligent mix, and possess a sweet temperament. The Morkie is a very popular hybrid dog breed. They are very well known and also referred to as "designer dogs". The Morkie is very affectionate and loyal. They are very active and will need to have play time everyday. This mixed breed will fare quite well with other house pets and other dog breeds. The Morkie loves attention and will become very bored if left alone for a long period of time. This mix breed is known to bond closely with their family members, and will be very wary of strangers. They oftentimes will make very good watchdogs. To gain a better understanding of the hybrid, we need to look to both the Maltese and Yorkshire Terrior. 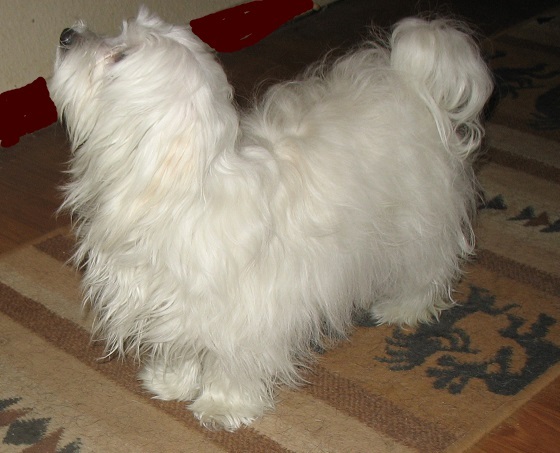 The Maltese is a small breed of dog in the Toy Group. This ancient breed has been known by a variety of names throughout the centuries. Originally called the "Canis Melitaeus" in Latin, it has also been known in English as the "ancient dog of Malta ," the "Roman Ladies' Dog," the "Maltese Lion Dog." The Kennel Club officially settled on the name "Maltese" for the breed in the 19th century. It descends from dogs originating in the Central Mediterranean Area. The breed name and origins are generally understood to derive from the Mediterranean island nation of Malta; however, the name is sometimes described with reference to the distinct Adriatic island of Mljet, or a defunct Maltese town called Melita. Maltese are bred to be cuddly, spirited, lively, playful, graceful, companion dogs, and thrive on love and attention. They are gentle, highly intelligent, good at learning tricks, bold, loving, trusting and devoted to their masters. The are quick to sound the alarm in case of suspicious noises. The are Even as a Maltese ages, his energy level and playful demeanor remain fairly constant. Some Maltese may occasionally be snappish with smaller children and should be supervised when playing, although socializing them at a young age will reduce this habit. They also adore humans, and prefer to stay near them. The Maltese is very active within a house, and, preferring enclosed spaces, does very well with small yards. For this reason, the breed also fares well in apartments and townhouses, and is a prized pet of urban dwellers. If the dog believes he is boss, he can be snappish with children and even adults. Do not over-pamper or overprotect these little dogs, for they will become unstable, and some may become jealous of visitors. Maltese that are allowed to take over the house, being boss of the humans, can also develop separation anxiety, guarding and obsessive barking. These are not Maltese traits, but rather behaviors brought on by the way the dog is treated by the people around it. These behaviors will go away when the dog is surrounded by stable pack leaders..
Yorkshire Terriors offer big personalities in a small package. The Yorkshire Terrier is a small dog breed of terrier type, developed in the 19th century in the county of Yorkshire, England, to catch rats in clothing mills, also used for rat-baiting. Eventually, the breed left the workforce and became a companion animal to families of European high society. The breed is nicknamed Yorkie. The defining features of the breed are its maximum size of 7 pounds. The typical fine, straight, and silky Yorkshire Terrier coat has also been listed by many popular dog information websites as being hypoallergenic. The ideal Yorkshire Terrior character or "personality" is described with a "carriage very upright" and "conveying an important air. They are brave, determined, investigative and energetic. Though small, the Yorkshire Terrier is active, very overprotective, curious, and loves attention. Mentally sound and emotionally secure ones should normally not show the soft submissive temperament seen in lap dogs. 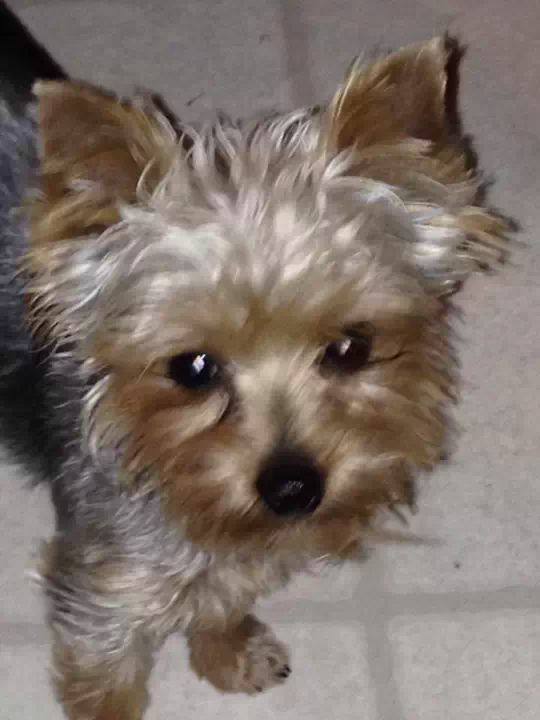 Yorkies, are an easy dog breed to train. This results from their own nature to work without human assistance.